African Butters abound at SpaFetish®. Indeed! At SpaFetish®, we have made it our mission to be your skin’s keeper and our African Butters aptly further that cause. 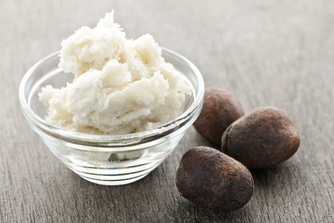 Our African Butter is Mother Nature’s purest Shea Butter that is imported from Ghana, West Africa. Shea Butter comes from the Karite tree (The Tree of Life), which grows along the shores of Ghana in the Togo (Togolese Republic). The raw Shea Butter is extracted from the nut of the Karite tree and it is that wild, untouched butter that offers the superior healing qualities that are now being celebrated throughout the skincare industry. Raw Shea Butter is rich in Vitamins A, E & F, rich in Carotene and Alantoin, plus it is ideal for use as nature’s finest body butter. Moreover, Shea Butter is also brilliant as a hair moisturizer, hot oil treatment, massage butter, natural sunscreen and it takes great care in bringing relief to skin that is burdened with eczema. Most importantly, however, is that through the Shea trade the beautiful Ghanaian people are earning fair wages that strengthen their community. Moreover, not only does Shea harvesting allow the people of Ghana to share the African gifts of Mother Nature with the world, but for the first time, these communities of women are able to provide for their families and to live a more dignified and purposeful life. And, where these kind people were once oppressed, they are now uplifted through fair trade and there is now hope for future generations. Thus, if you would like to experience the skin benefits of 100% pure unrefined African Shea Butter, we invite you to partake of our African Butters -- and let them awaken your skin’s natural dew. A gratis 5 oz. Shea Soap is included with each Shea Butter purchase. Shea Butter - 4 oz. 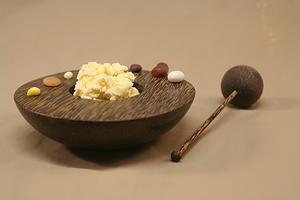 SpaFetish Shea Butter is imported from Ghana, West Africa where it is naturally extracted from the Karite (Shea) Tree. This is raw, unrefined Ivory Shea Butter. Shea Butter - 8 oz. Shea Butter - 16 oz. African Butter - 4 oz. SpaFetish African Butter is yellow Shea Butter imported from Ghana, West Africa where it is naturally extracted from the Karite (Shea) Tree. This is raw, unrefined yellow Shea Butter. African Butter - 8 oz. African Butter - 16 oz.